Hope everyone is having a good summer ! We said that Cardiff Rivers Group would have a summer break and not have any events during August, we lied. We’re having a short, city centre event this weekend. Hope you can make it ! After receiving a few requests from our members to tackle the state of the feeder canal that runs through Bute Park, we’ve decided to dedicate next Sunday morning to work on improving this waterway. This is a fairly large project and we will be looking to come back later in the month and in September when we will hopefully be joined by some other groups to tackle around the ambulance station and castle. More on future events soon. Wading through the Feeder, removing as much debris as possible, improving the appearance of the Feeder as well as the flow of the water. Volunteers are to meet at the source of the Feeder, at the bridge at Blackweir at 09:45 for safety briefing & kit. 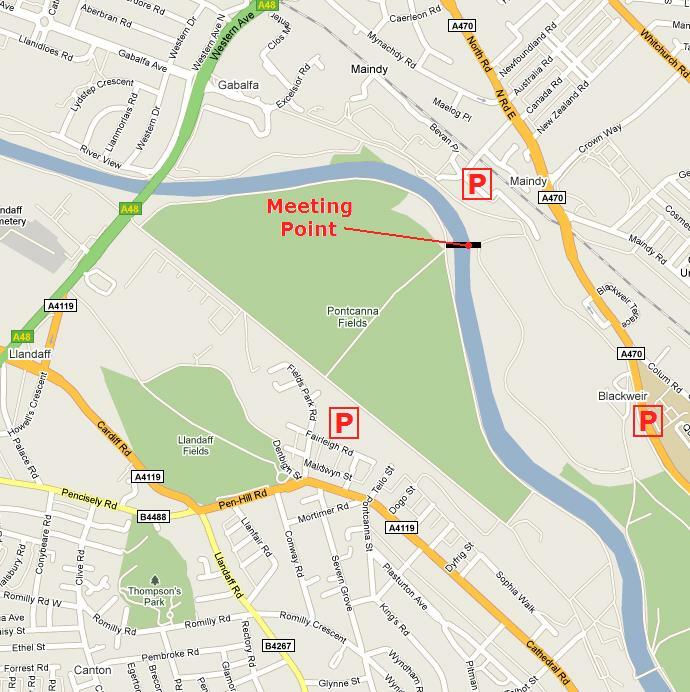 This location is on the Taff Trail – an easy walk / cycle from town centre along the River Taff. 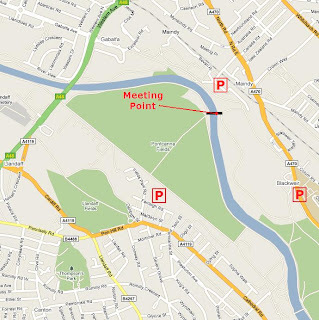 Closest car parking would be at Pontcanna Fields changing room [ CF11 9HX ], within the Tal y Bont student halls [ CF14 3AS ] or near the North Road Ambulance Depot. See map below for general area. Please wear suitable footwear and bring waterproofs. We will provide the rest of the equipment. Let us know if you are coming so we can ensure we have enough equipment for all of you.